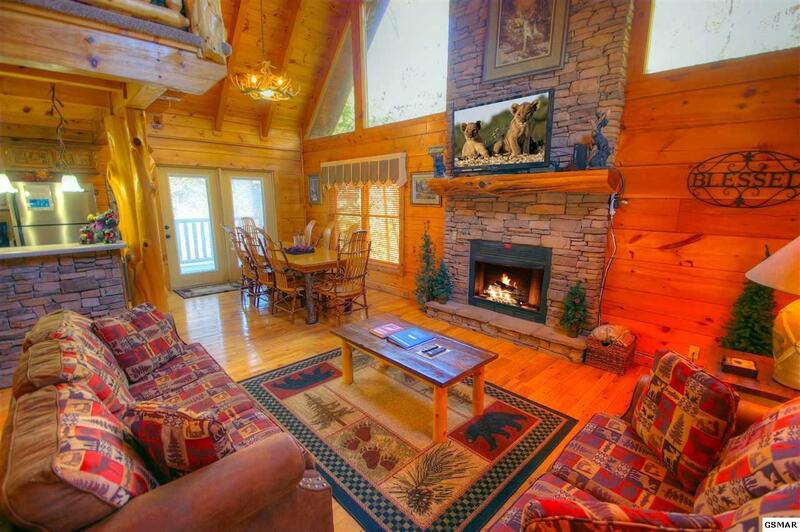 Hidden Hideaway is A slam dunk money maker doing over $50,000 in rental income for 2017 and due to make over $55,000 in 2018. 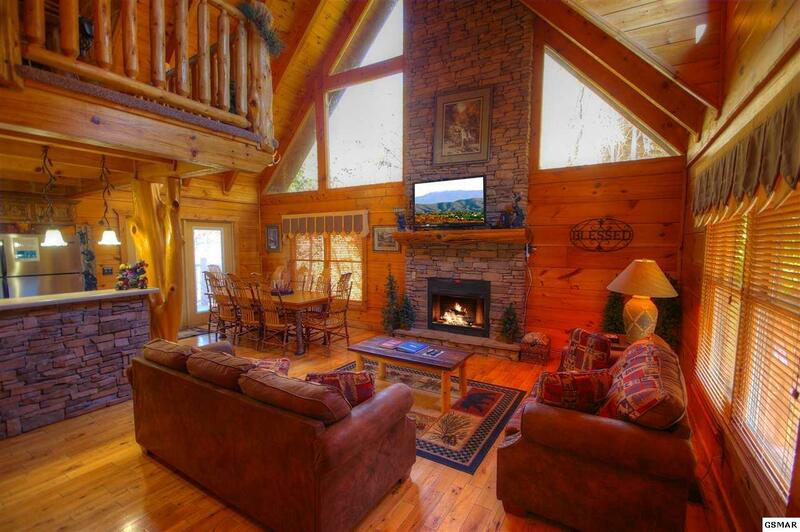 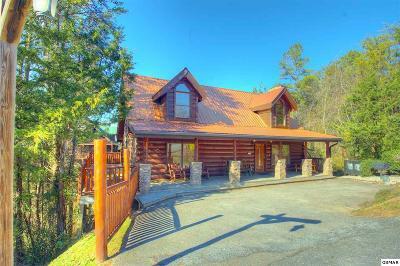 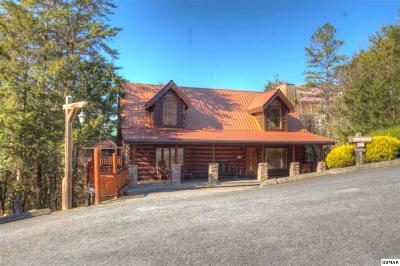 Hidden Hideaway makes you feel miles away from all the action but its less than a mile from all the attractions on the Pigeon Forge strip. 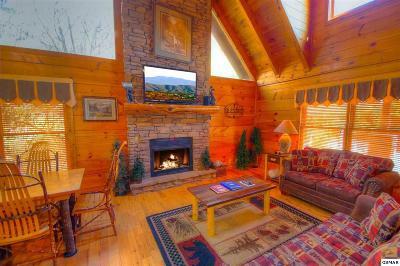 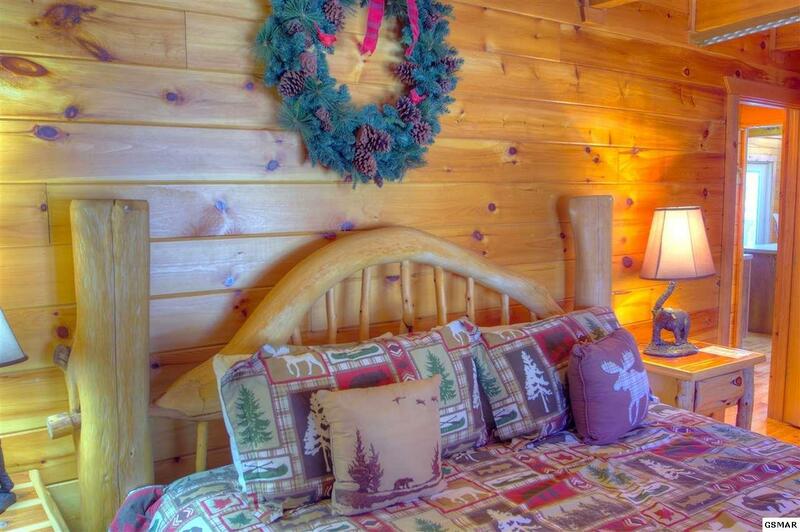 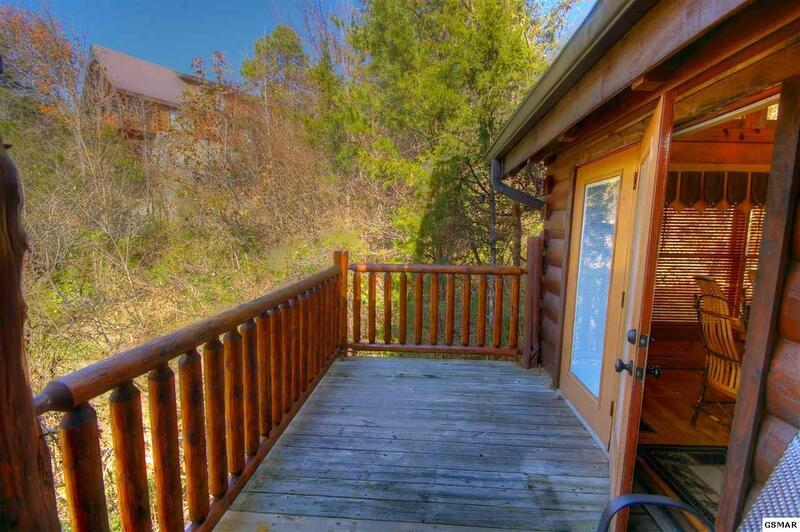 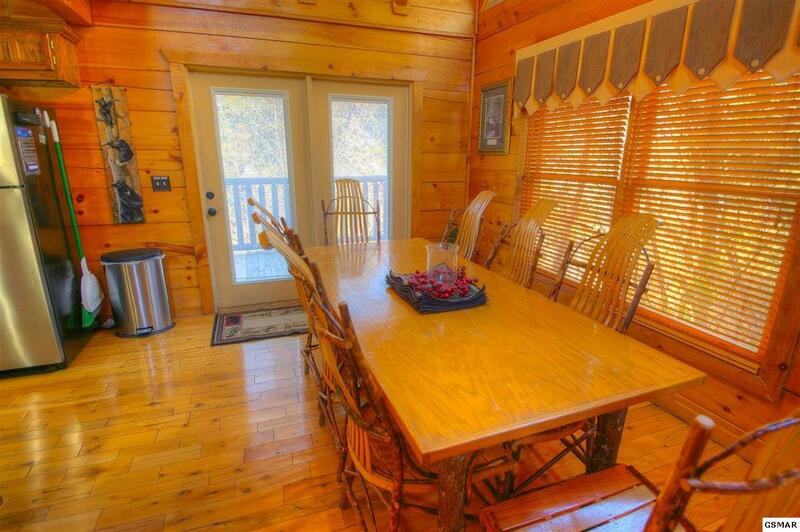 Located in Alpine Mountain Village resort with 2 swimming pools, a picnic shelter and walking trails, this cabin has consistently made money for the seller. 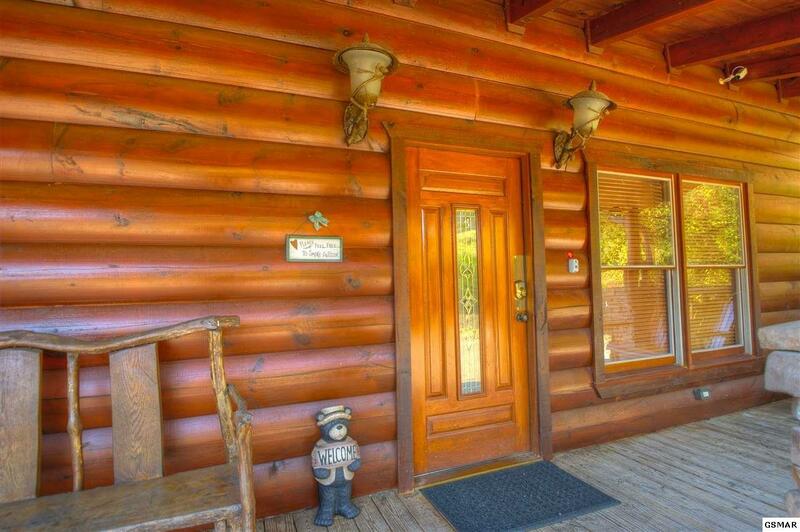 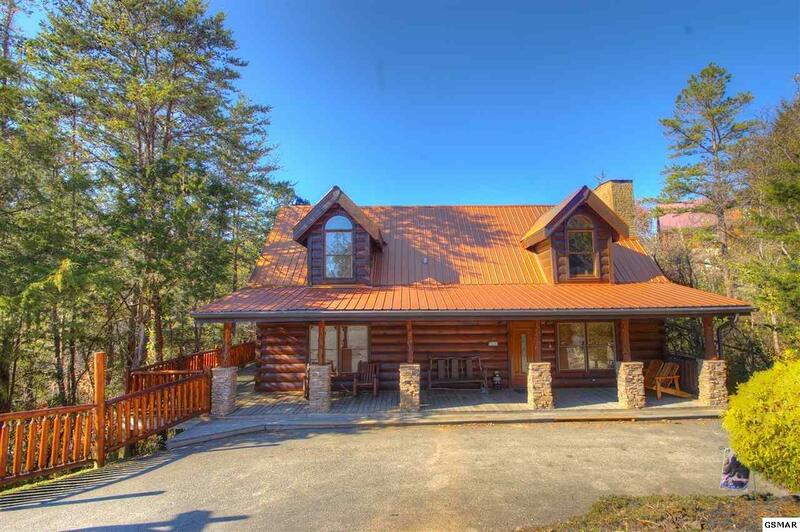 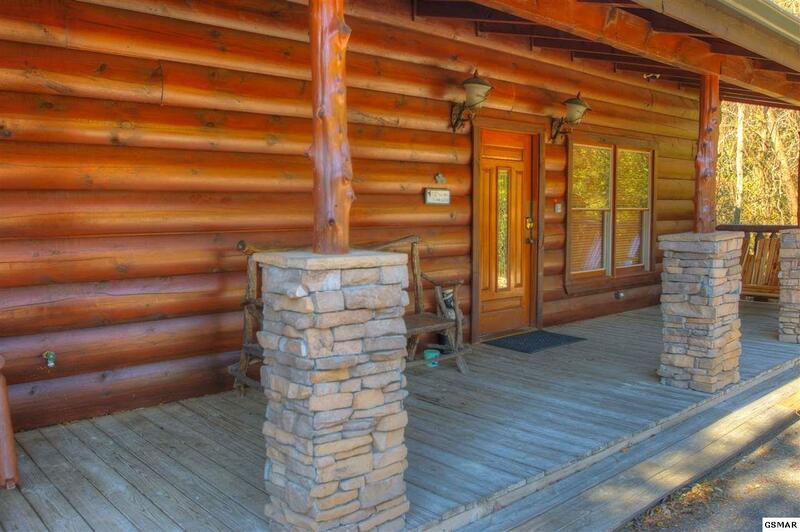 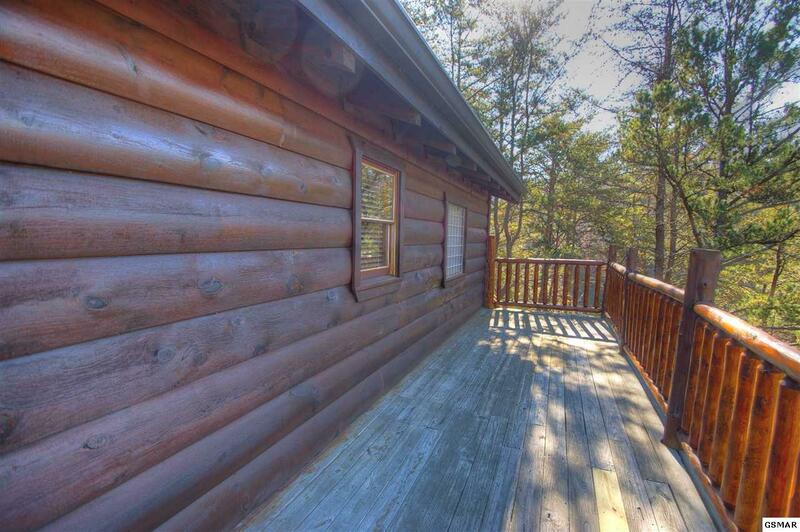 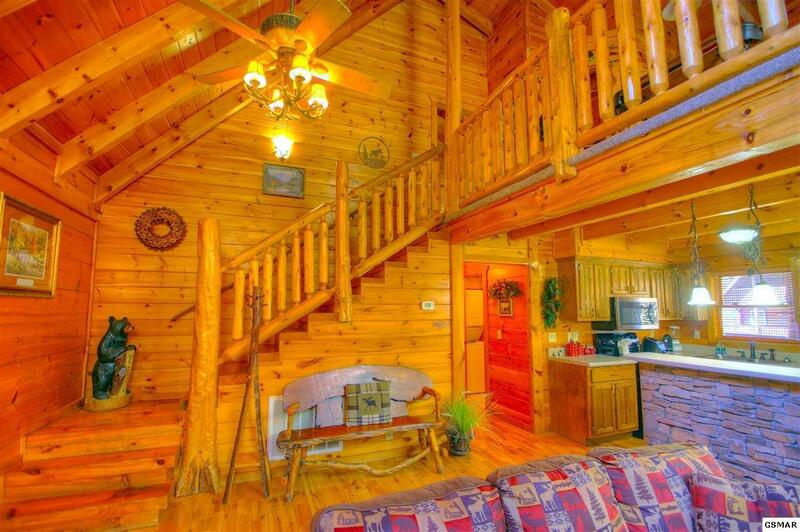 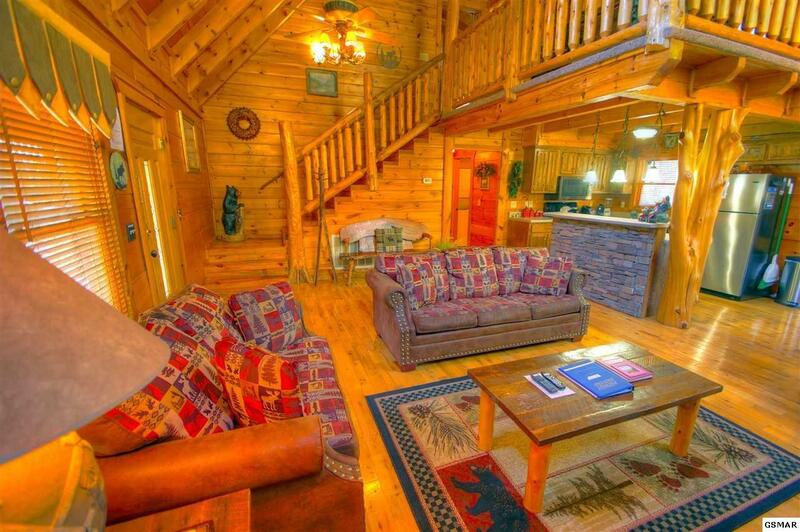 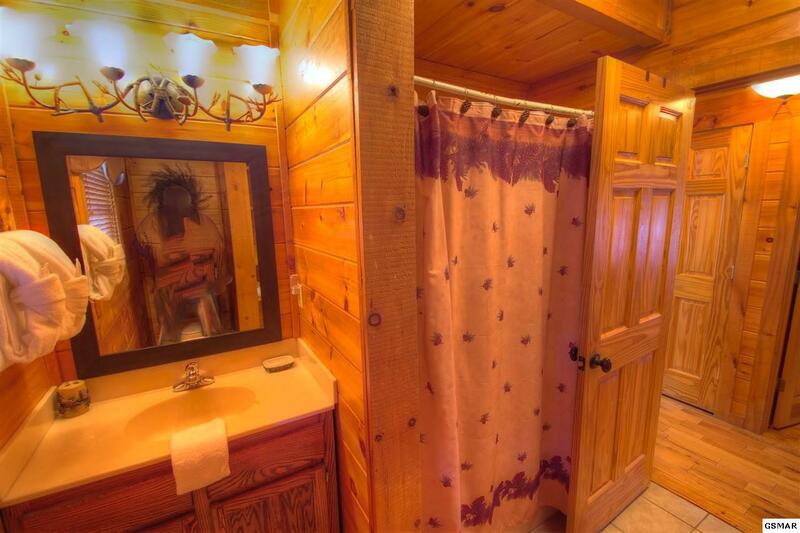 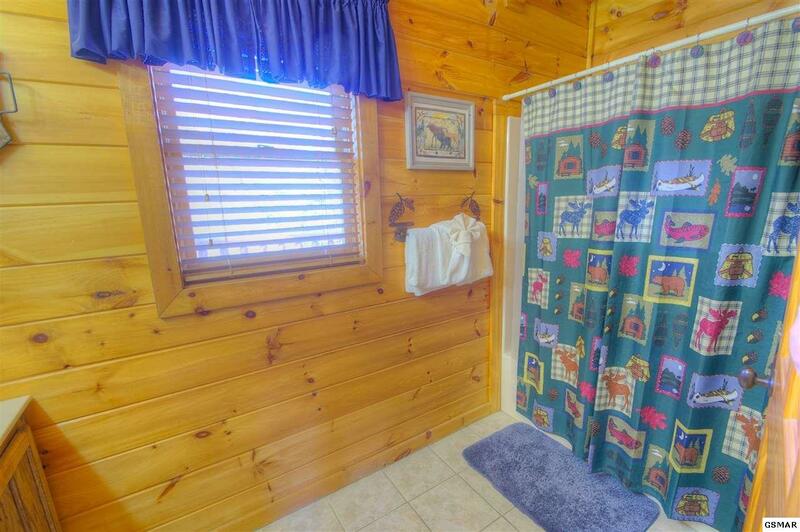 The cabin offers plenty of off-road parking, a full covered front AND rear deck, and a wrap around deck from front to back, plus a full deck on the second level of this custom crafted log cabin. 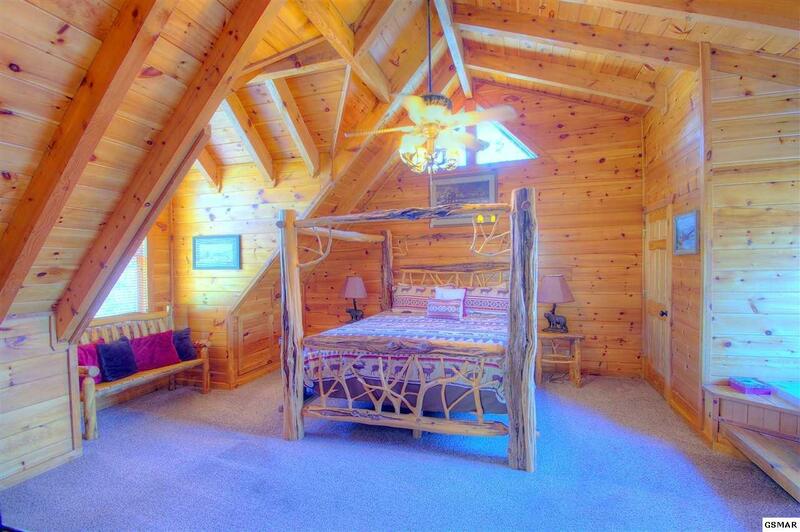 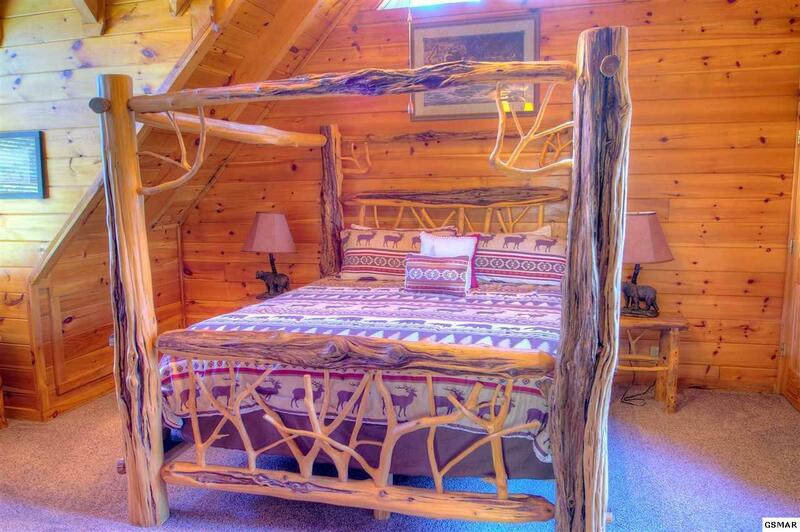 Upstairs, a one of a kind, log, canopy bed is the focal point of the large master suite with its own whirlpool tub and an additional full bath/shower combo with double vanity. 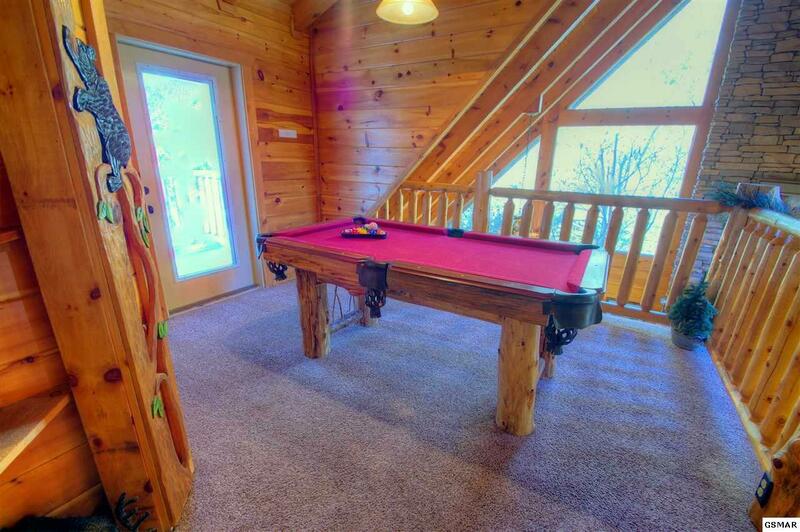 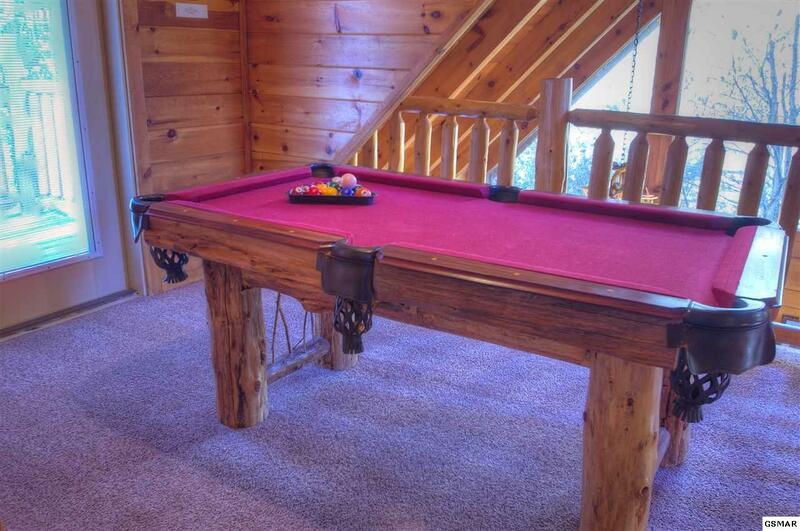 Also, upstairs in the loft is a log pool table. 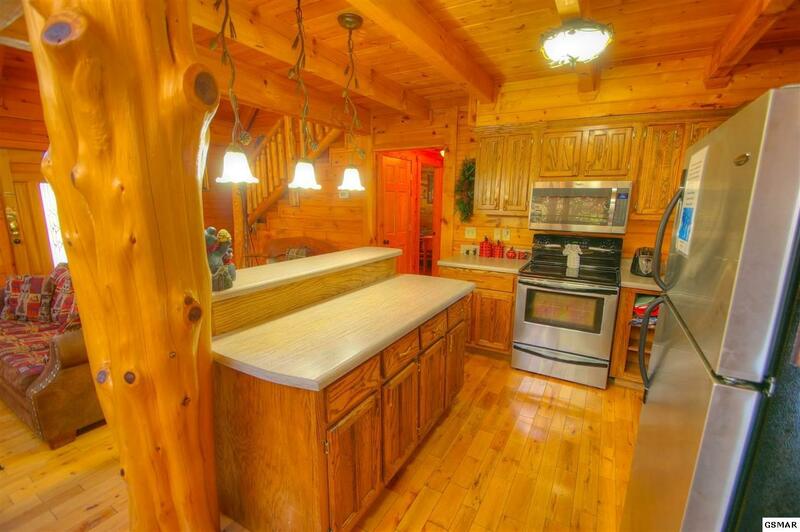 In the great room is a custom designed kitchen with natural, hand peeled logs for supports at the serving area. 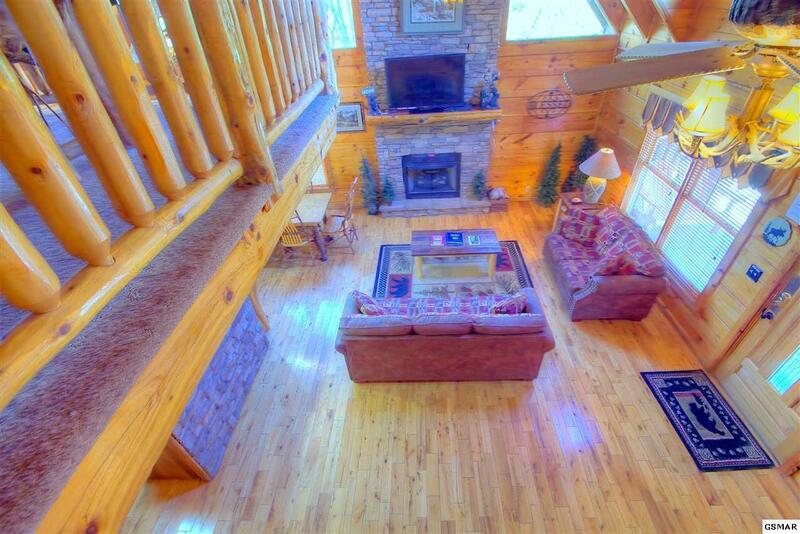 The living room looks huge due to the cathedral ceiling. 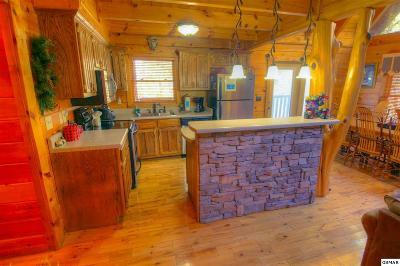 Kitchen features all Stainless-Steel appliances This owner has kept up with all the maintenance on this beautiful cabin. 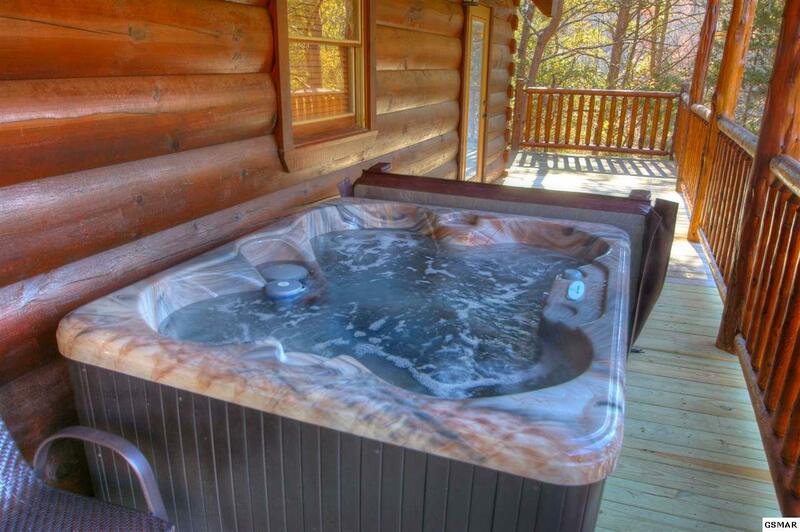 Hot tub replaced 2 months ago. 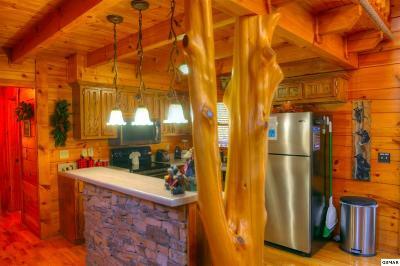 HVAC system is 3 years old. Stained approx. 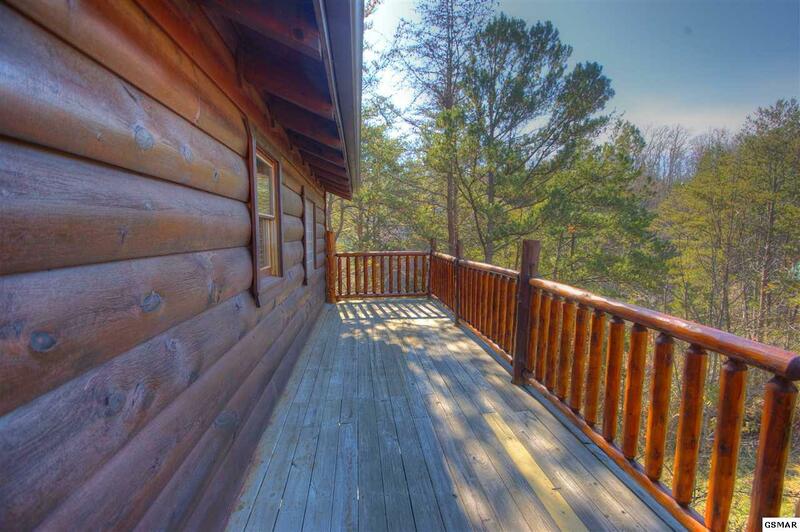 6 months ago. 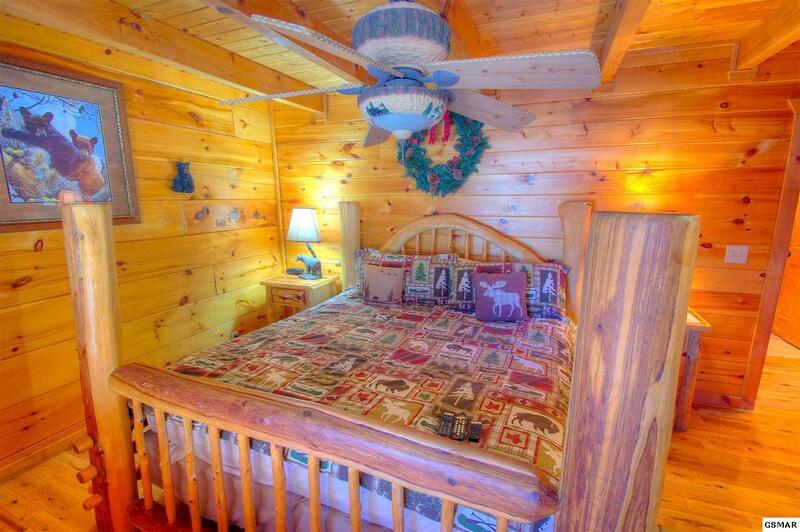 "Like new" Frieze carpet in the bedrooms. 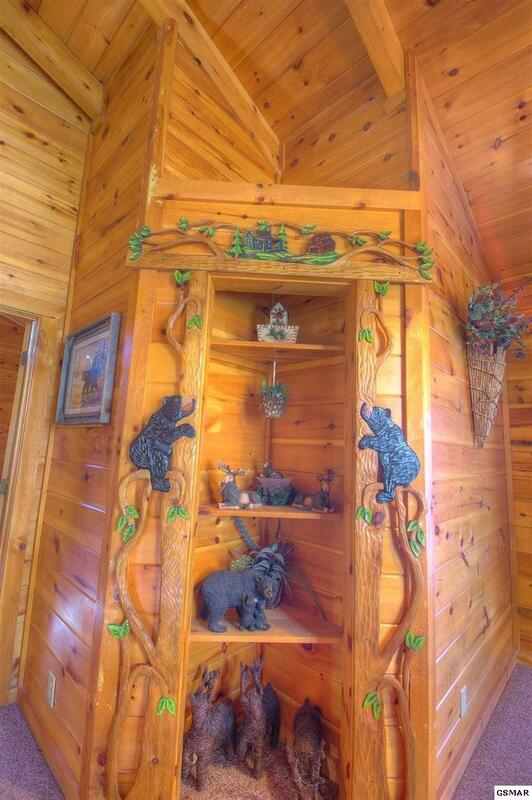 Much of the furniture is new. 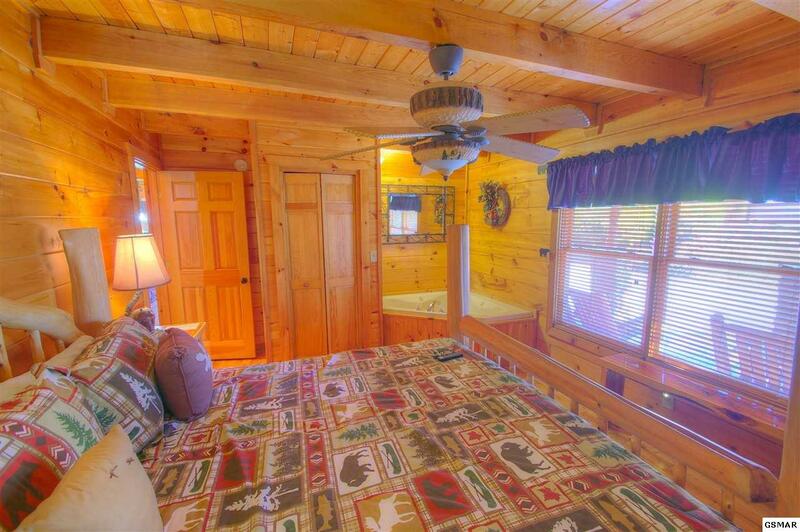 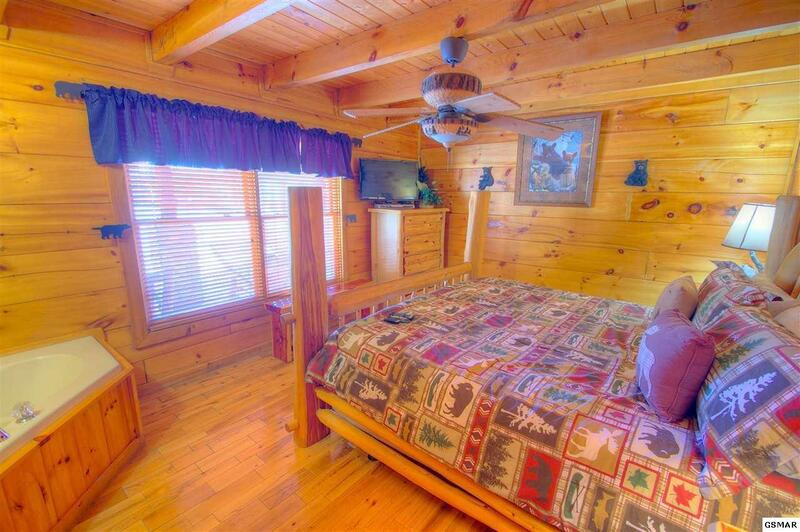 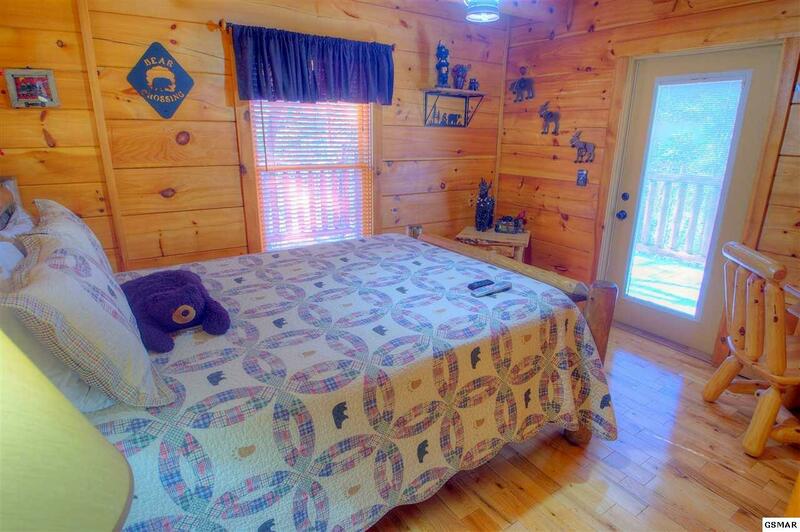 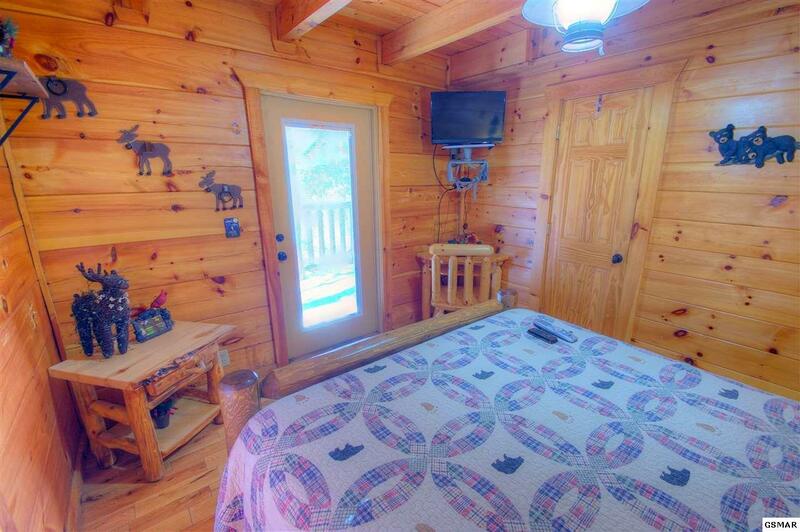 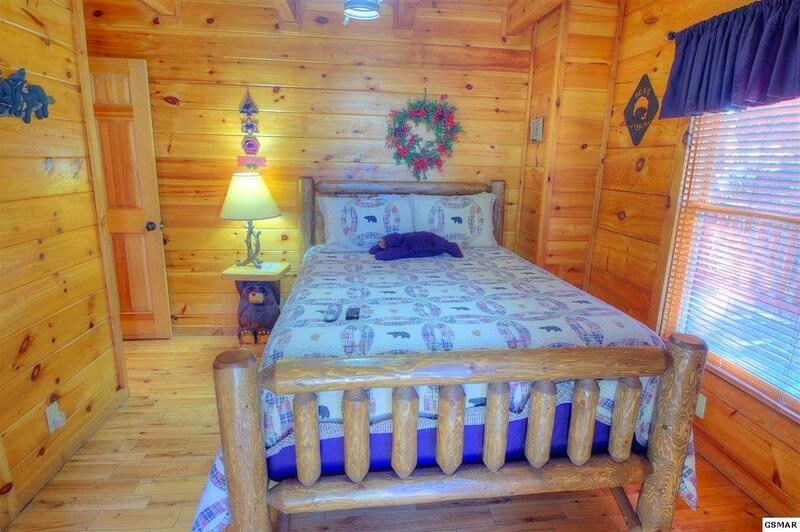 With three bedrooms and a queen sleeper sofa, Hidden Hideaway has room for up to 8 guests. 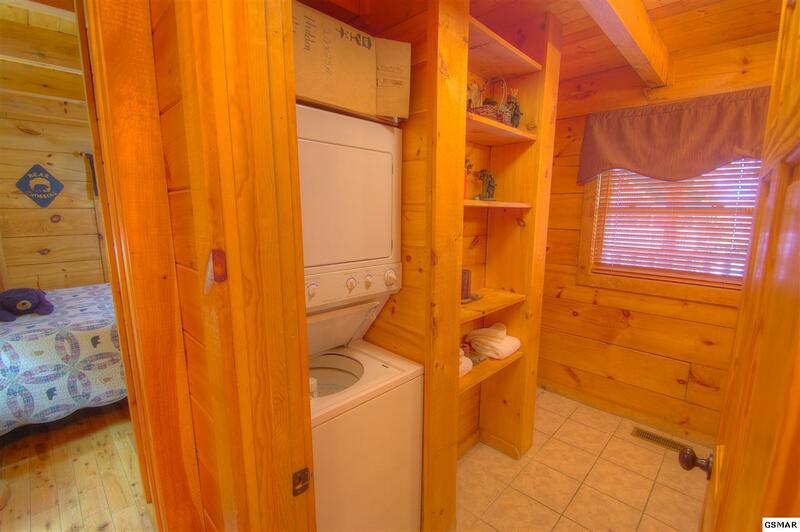 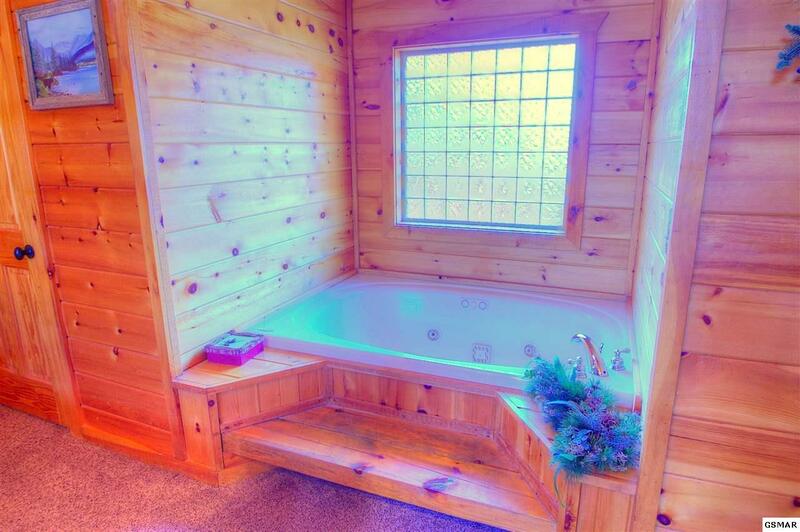 Alpine Mountain Village is one of the rare cabin resorts close enough to have city water, sewer and natural gas. 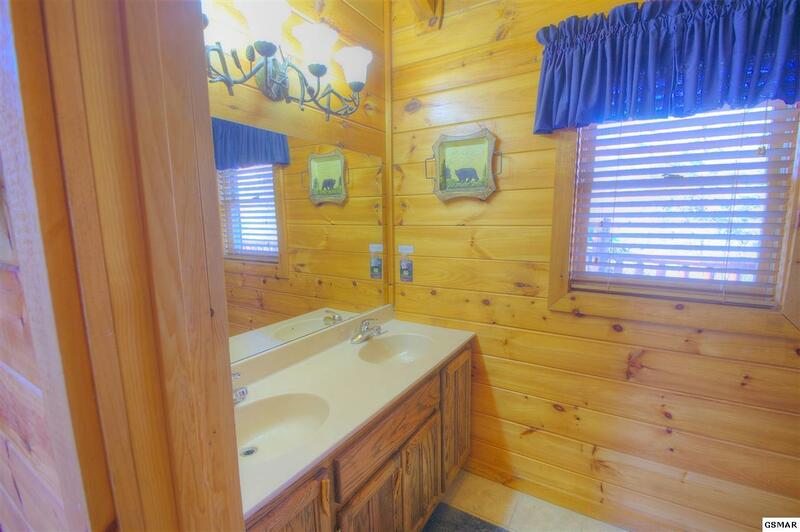 The Unique Gold color metal roof makes this cabin stand out in the resort.